Have you ever noticed how smart are people who like reading? Most of them are very well-spoken and cultured, besides, they usually have a great imagination. I always notice such things and I have wondered whether there is any connection between those traits and their passion for reading. Here is an interesting information how reading affects our brain connectivity. The Emory University has done a study, according to which reading can have a great impact on the brain. For the research, a group of students was asked to read one-ninth part of the known novel every evening for nine sequential days. For each following morning, a functional magnetic resonance imaging was performed on the participants. Also, the fMRIs were performed on the five days preceding the reading and five days after it. According to the morning fMRIs, performed on the reading days, students’ brain activity increased. Moreover, the highest arousal levels of the described activity were noticed during the climaxes of the story. The short-term changes appeared in the left angular gylus, while the long-term ones emerged in the somatosensory cortex. The people who were interested in the research assumed that the short-term changes were related to perspective taking and story comprehension. In other words, reading novels can help develop the language processing parts of brain. The long-term changes were explained as the ones responsible for embodied semantics – when the motor representations are provided to words. For instance, when you think of walking, your brain experiences similar activity as it would have when you were actually walking. In my opinion, the second set of results really makes sense because I still remember when I was young reading young adult stories, I usually felt like I was one of the characters. I really felt like I was moving with them throughout the novel. After reading each story, that heightened activity in my brain stayed and provided me with even more brain action. I am saying this because I felt like I could transfer it to other activities in my daily life. It also made me feel like I became more creative. 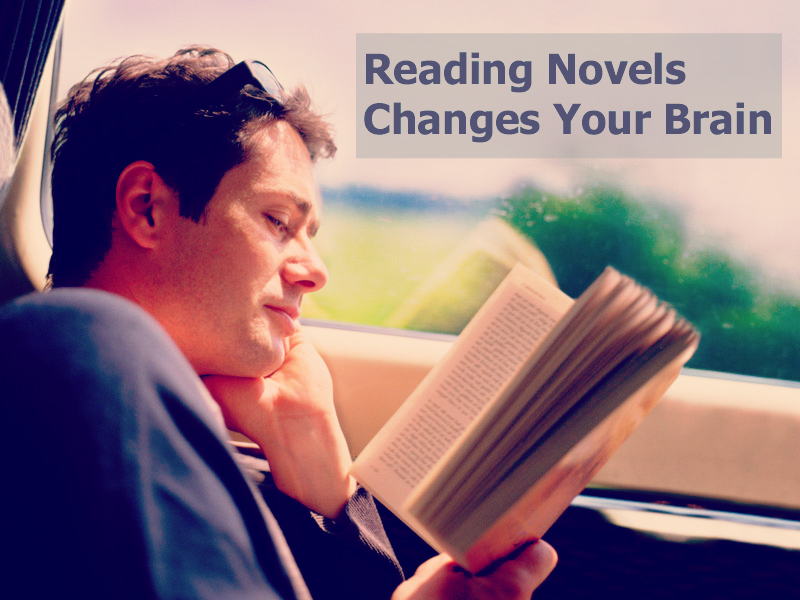 Eventually, according to the results of the research, reading actually can change your brain. However, the researchers were not sure of how long the effects last. But if you are not fan of reading, maybe these results will encourage you to start doing it. Novels are able to transport you to another world, experience new feelings and emotions, they broaden your imagination, provide a great entertainment, and make amazing topics for conversations. And if you do already love reading, keep doing it. Just like people say, there is nothing better than reading a good story.